Much like Glenn's SFX journey I am documenting my progression from what I consider newbie pistol shooter to hopefully one day Pistolaro Supreme. I have what I like to think of as basic marksmen fundamentals from my time spent learning long range shooting. I also grew up hunting but took a break from guns when I got married and had 2 kids. Stuck with Archery since it was easy to do in the back yard and didn't wake the kids/neighbors. Nasty RA in the hands took away my bow even with the trigger release do0-dads ( I am a purest and hated them anyway) Any way I stayed away from pistols for that same reason...I didn't trust my hands to hold a pistol. Now my new meds have gifted me back enough of my hands and of course my buddies put a M&P 22 full size in my hands to show me what I have been missing. Yep...you guessed it...bug acquired! I love the process of learning a new skill and usually pick things up and develop muscle memory quickly. This all said I have been devouring information so I can increase my abilities and become an even better marksman. So that is out of the way...on with the show! 15 shots where I do nothing but see natural point of aim from compressed ready to extend. I don't get behind my sights. I simply see if my muscle memory mechanics are good and if my natural POA is consistent. I try and use the center target for this. Now I haven't set up the fancy cameras and app yet to distract me ( I want to get comfortable with my mechanics first before I add the technology) I do this as I said for at least 15 shots. Sometimes more depending on the pistol I am training with. My carry gun for example gets 2-3x more attention then my others since it is what I will count on if the unfortunate ever happens. Next drill is pure trigger focus. How many shots I take is dependant on if I am trying a new grip technique or anything that is different from my current tendancies. I am spending alot of time trying out things that will improve my grip. I only apply 1 change or try 1 techinque at a time and give it a minimum of 30 pulls of the trigger to see if its valid for me. Then if it is I need to train my muscle memory all over again and usually will go back to my first drill with the new technique...then repeat this one for a bit. My range time is really about recoil management at the moment. I focus on 1 pistol and do the 2 home drills on the line. I set the target out to 10 ft. I designate 1 box of ammo to that. Then my second box I use to practice weapon manipulation. I take 1 magazine and load 1 round. I take the other magazine and load it to capacity. Load the 1 round mag with the full mag at the ready. 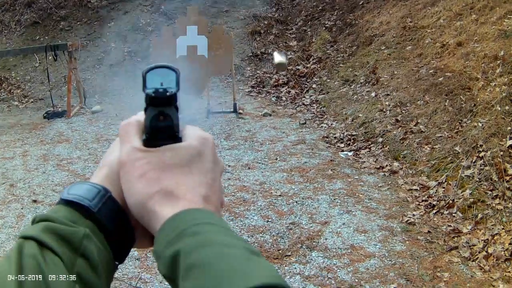 I simply go from compressed ready to ready fire...acquire sight picture, fire, reload and reengage 1 follow up shot. I then take out the loaded mag, leave one in the chamber and put in the empty mag and repeat. I start off slow and delibrate. I exagerate each movement in slow motion. Each round I step it up a smidge until my last 2 shots are at near max if not max speed. I use 3 inch sticker targets and the goal is both shots in the zone. Now this is all I am working on at the moment since I feel that building my muscle memory is going to be paramount and these basic drills have the range of motor skills I need to work on. Toss in hours of empty mag changes while watching TV, I want my weapon handling to be near "thoughtless" My hands will know what to do and do it properly. I am trying to find ways to incormperate stress soon to see if I have sufficient muscle memory to add new drills. Thats where you fine folks come in! Any and all tips appreciated. Just ask that you include a why with it. What will the tip do for me? How does it apply to the overall scheme of marksmenship with a pistol? Is it a drill for comp shooting? Self Defense? Showing off? Doesnt matter I will take them all. I know it can and will take years to reach epic status and I am ok with that. I dont expect to be shooting wings off of flies....I just want to learn and enjoy the process! Thanks for reading and contributing if you do! I will update this as I go and give shout outs if something worked and maybe even post some fancy videos once I get this internets thing mastered. Beretta APX full size w/2 17 rd mags. Updated Striker spring assembly and guide rod from Beretta. All are 9mm as I have shot both 40 & 45 and currently do not see any reason to go more. OK, I'll go first. Everything you are doing is great. You put thought behind what you are doing; as an RO I see 90+% of the folks on our range making noise only. The blindly shoot at a target within any analyzing. I never put more than 5 rounds in any mag at a time to force myself to think and slow down some. Last mag of the session is the Blitzkrieg lightening round; max out the mag and "fire for effect" plus, it's fun. 1) Start shooting competition. Even if it's a small outlaw steel match. The timer, the other shooters, drawing from a holster, etc. will make a difference. Doing all of these things have shown me techniques I had wrong, refocused my training range time into a different direction and made me take a serious look at my hardware. I didn't buy new fancy firearms, I did upgrades to my existing firearms. And as a bonus, these matches give you time to get some knowledge from the more experienced shooters. And when you're feeling good about all of that, step up to USPSA competitions. It's another level of learning when you throw movement into the mix. I'll admit it, I'm hooked. 2) If you start shooting comp, film it. Either have somebody hold your phone and run a video or like @GlennSFX does, mount a camera on your hat. The feedback is amazing. I've watched one video of myself about 30-40 times and keeps seeing things I can correct. (side note: I'm not watching cuz I think I'm pretty, I'm not ) Movement, planned reloads, unplanned reloads, malfunction cleaning all while under the timer will up your game. 3) If you start shooting comp, forget about what the others are shooting. Gun envy is bad for the wallet and mind. Your Glock 19 is a good gun USPSA for Production level shooting plus, with a 10 round limit in the mags for USPSA Production division, your 5 mags are ready to go now. Your SFx with w/Vortex Venom would move you up into another whole level of shooters. I current am using a S&W M&P 4.25" full size 9mm. I've added an Apex trigger, all springs are aftermarket, TFX Pro Tritium/Fiber-Optic Day/Night Sights were added and I just added a KKM barrel. Runs great and I can actually see the sights during a run. $50 speed belt with two Red X double-mag holders tie-wrapped together (nothing but hi-tech for me!) and a Blade-Tech holster for $62 which included the TEK-LOK attachment. Oh, and a Canik Fanatik tee-shirt! Got to fly the flag even with using my M&P. End note: My SFx is almost ready for the steel matches. As there is no Production class at our steel matches and Limited is as low as there is, I might as well start using it. I'll be sticking with the iron sights for now. There you go! The world according to LT. Thanks for the tips! I had planned on trying my hand at comps once my muscle memory is in place. I know the best way to add stress to test is a timer and score lol. I am right there with you on loading under mag capacity. 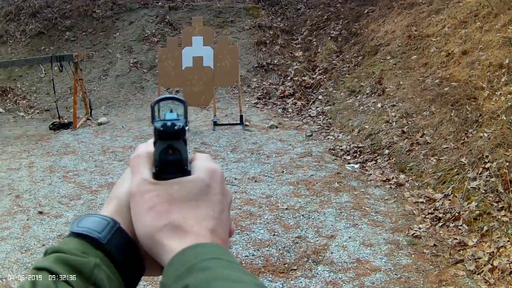 Focus and reloads are always a plus in training regardless of how slow you do it. I was lucky that I was able to trade my non utilized rifle for my security 9 and M&P 22 to start with. The 22 has a feature that makes dry fire a pain so I use it a lot to incorporate those new techniques in my dry fire to live fire first. Cheaper and better feed back at short range. If you disrupt the gun it tells you quick with a 22! And it helps with hand fatigue. My biggest challenge is acquiring holsters for each pistol. I don’t understand all the lingo etc just yet and the difference between a comp holster and a open carry vs a concealed vs whatever fancy devices are. I am used to either my shoulder holster for under my flight suit or a leg holster when in the sandbox. Not sure if that helps describe my level of rookieness enough lol. There are many, many holsters out there and I think just about everyone of us has a box of "trial & error" holsters. IWB, OWB, appendix carry, etc. ; all this branches out into a longer conversation. I always ask the same question when this conversation comes up, "what you you want to do with your firearm?". That will always lead to some talking points on holsters. I normally throw a bunch of holsters in a backpack, go to their house, dump them on a table and let them touch and wear each type to see what they like or, just as important, don't like. I even throw in a shoulder rig. Personally, for concealed carry, I'm an Alien Gear holster OWB kind of guy. http://aliengearholsters.com/s-w-m-p9-4 ... tband.html I also will use a Versacarry https://www.versacarry.com/outside-the- ... r-holster/. I'm very much an OWB kind of guy. They make riding a Harley while carrying much more comfortable. ...This sounds familiar, married with 2 kids!!! I also grew up hunting but took a break from guns when I got married and had 2 kids. Stuck with Archery since it was easy to do in the back yard and didn't wake the kids/neighbors. Me...I'm not a purist! Shot a ton of 3D Archery with a PSE Evolve 35 with a single pin HHA Optimizer sight and of course a hinge release. Hunted with a couple different shorter bows. I guess I should have known I would be an "optics guy" when it came to competitive pistol shooting! The most important thing I work on, is my grip tension, and sight alignment. I don't mess with trying "new grip" techniques, as the proper grip is a firm solid thumbs forward grip. You will work on "proper grip tension" to ensure the muzzle stays on target when the trigger is pulled, and the sights/dot tracks straight up and down so you can get a quick follow up shot. Muscle memory as you mentioned is key to getting the sight/dot on the target quickly and repetitively, but as you alter the grip tension, the sight/dot with move, and it doesn't take much! When it comes to training as @LT USN (Ret.) mentioned, video is worth a thousand words!!! There is no better way to self-evaluate than to watch yourself. In your mind you may think you're doing everything perfect, but the video usually tells a different story!!! Here's an example of self-diagnosis I sent to my son from shooting a classifier last weekend. It was a great classifier for me as I scored a 7.038 HF (Hit Factor), with 3 As and 1 C on each of the 4 targets. I wanted to look and see how the gun was tracking between shots. I process the video in Adobe Premiere Elements as it allows me to look at the video frame by frame. 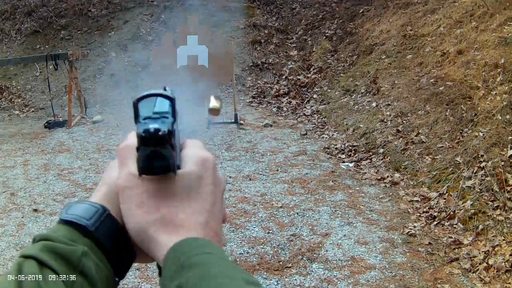 You can see the gun tracking a little to the right, not by much, and the muzzle does come back to the target quickly. The hits were pretty good so I'm not in bad shape. But this is the kind of stuff you can do when you have video. I also use it when I'm training/practicing at the range, indoors and outdoors. One thing you'll want to invest in is a shot timer!!!!! You can setup "par times" starting out slowly to focus on fundamentals and technique, and speed things up as you progress. The timer helps to induce some of the "stress" of being on a timer at the matches. You can use it at home when you're dry firing too. Anyways that some input for now and I'll will follow up with more. You'll notice on the competition holsters the ejection port is left uncovered. Quicker to draw from. ALSO...make sure you use blue LockTite or Vibra-Tite on the screws for "ALL" mounting hardware!!! I lost the retention knob on my SMC holster, two screws on the mag pouches I use for IDPA, and one of the mounting screws on my DPP!!! ...and that one had some threadlocker right from Leupold! They were nice enough to overnight me some replacements, and this time I used blue LockTite. For things that I'm more apt to adjust and/or remove, I use VibraTite. For more permanent items I'll use LockTite. I am nowhere near the "PRO" level that some of these above guys are. My instructor really has me focusing on level two and three failures at this moment. Level three being pretty tough, because it seems I have to pull the mags out each time. I load one snapcap into the chamber, and one into a mag, and load the mag. Rack the slide, and we have a jam! Drop that mag out as fast as possible and triple rack the slide to clear the jam, pull the spare mag from my belt, and slap it in and load. Like everything else new, "slow is smooth, smooth is fast". I start slow for these drills and try to work up speed until I completely blunder, then back off to slow again and repeat. Same with my holster draws, slow up to fast. I love every minute of it, but each new drill exposes a new technique that needs practice. One of the "more mature" shooters I squad with was telling me this about my strings during a steel match; he said I should shoot to a rhythm. Boom, boom, boom vice boom-boom, boom-boom. I was trying too hard to double-tap the targets and my sight picture was not coming completely back in line. 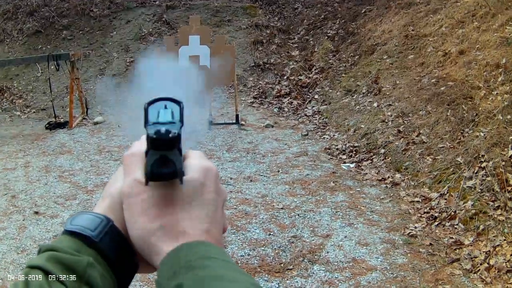 Misses = more time or, in USPSA, even worse, a "Mike" (miss). LT. this is not the first time I hear about shooting to a rhythm and it has me intrigued. I can see the principle behind it...once your in a rhythm speeding up or slowing down is just a matter of increasing the mental playback of that rhythm to yourself. I can say this for pistol shooting...the amount of talking to myself aloud while I shoot has raised concerns with my mental well being but on the flip side prepped me for my upcoming lip-synch battle. I constantly am talking to myself , speaking each step milliseconds before performing. I think the most spoken word is "Squeeze" I am hoping that this will transfer to when I begin to really focus on target transitions in the near future. The goal is fluid movement vs snappy. And is it wrong I have begun designing my pistol shooting range for when I am up at the family cabin in Vermont? Well it started as my rifle shooting range but now I had to modify. My father is gonna be busy making all the target stands but that will teach him for saying he misses working with wood since he been retired! I have found myself yelling at myself in a shooting video of a double-star tree rig. It went something like, "HIT THE DAMN THING!". And is it wrong I have begun designing my pistol shooting range for when I am up at the family cabin in Vermont? Not only no, but hell no. If I didn't live in town I'd have a well-used outdoor range. If you would, please share some pix of the range when completed. The cadence of the shots through transitions should be pretty consistent. Of course that will vary with target placement and movement with USPSA/IDPA courses, but will be more rhythmic when shooting steel. In the video I posted above shooting the plate rack, when going a little slower or quicker, the time between the shots is pretty consistent. 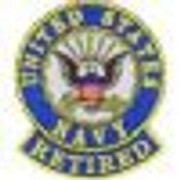 Like @LT USN (Ret.) mentioned in an earlier post, shooting competitively, with better shooters is a GREAT way to learn!!! Most of the experienced guys you'll squad with are more than happy to give you pointers. Best way is to introduce yourself, and let them know you are new to the sport and any advice/constructive criticism is welcomed. Statements like this go a long way!!!... "I'm here trying to be a better shooter and do so in a safe and friendly environment." it will be a solid 4 months at least before I can begin building the range. I got to finish my VA stuff here in Texas before I can beat feet back up to the less free states of New England. Lucky for me Vermont ( where family land is) is miles from nearest neighbor and heavily wooded. 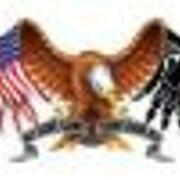 I've been retired 20 years and still messing with VA. Take you time and get EVERYTHING documented. Thank you for your service. 1. Point shooting / aiming - Simply getting my mechanics down where I can hit within a reasonable area without using the sights. I have set up various targets through out the apartment at various heights on the wall, doors, cabinets and lamp shades. After a few minutes at my standard 15ft hallway target to get in the groove I practice slowly moving through the apartment and engaging each target randomly using my point shoot. Now I am not worried about speed or tactical training etc. I am focusing on just slow deliberate movements , identifying a target then activating my engagement fundamentals to see if I can hit within a respectable zone of my intended POA. The targets range from 2-3 inches off the ground to near ceiling. Sizes also vary from 1" dots to 6". To ensure no accidental sight acquisition I keep the rubber protective cover on my Vortex. Every movement is deliberate and almost exaggerated. I might incorporate a go-pro in the future and keep " score " but really if its in the zone ( some targets are square, triangle or circle to simulate chaos. I know there is a lot of controversy about point aim vs sight acquisition every time. Personally I feel that if you want to be a complete marksman with pistol you need both skills. Variety is the spice of life right? 2. Recoil management / follow through. I feel this is my weakest area. 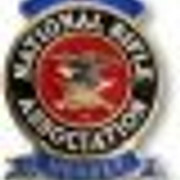 I understand the purpose and how it is done with rifle shooting. Pistol is a little harder to weed out. Follow through that is. I take a shot and am unclear if pressing through to the back of the trigger housing and keeping it there until the majority of the recoil impulse is mitigated before releasing until the trigger resets then holding it there until next shot or if I should break the shot and as the impulse occurs let up on trigger past the reset and even into take up and work the take up as I am aligning my next shot...now as we know this is happening much faster then it takes to type or read this. What I am unsure of is which is proper or is it just dependent on the situation? Is it another tool to consider? I hear arguments that riding the reset leads to shooting before your ready which is essentially letting the gun dictate the shot vs you the shooter. I get it, can definitely see that with the SPx..cause lets face it, this trigger is amazing and begs to be spanked...I mean pulled ( I swear this pistol was made my gingers cause I am addicted to both )the other group says release the slack in take up as the impulse happens this way you can dictate when the shot is made. I can see that but the more we move that trigger finger the more likely it is possible you can disturb the sights. Man this is a game of millimeters sometimes, am I right? Lucky for me I am slowly getting it in my head that accuracy with pistol is not the same as precision rifle. So my slow fire at the range is adjusted based on 1 mag trying it the riding reset method vs the slack method. I know I should pick a method and master it or at least be proficient then try the other. It just seems I form habits quickly and not all of them are good so by switching I keep both fresh in my head and it helps me focus mentally. No complacency that is but still training my sub conscious to be able to function while my conscious mind evaluates what is going on for review and possible correction for next time. I am seeing the fruits of my labor which is exactly how it happened for me in rifle. Huge improvement jumps early ( expected...largest gains are always at first then months/years to improve even a fraction) so my drills are working for me and it motivates me. I get the occasional break down car wreck sessions where I cant seem to engage a barn door at 2 feet properly. That's ok. I know that bad days need to happen. Much rather them happen training. Ok my new favorite peanut gallery patrons....chime in and help this crazy Canik compadre...anything else I can do or maybe incorporate/change to work on these 2 things? JJ explains it well...easy to listen and understand. Executing...that's another story! Just takes a lot of time and practice. I'm working on the same thing, having the muscle memory to execute repetitively in a competition environment. I call it "Stage Stress"! I guess I don’t understand follow through then as it applies to pistols. Basically you want to be able to get the next shot off as soon as possible. If your trigger finger is at the "wall", right at the reset, without having to pull through the "takeup", you'll be ready to "break" when the slide is back into battery. This will all happen before your sight is back on your target. So when you sight/dot is back in an acceptable range, you'll be firing your next shot. With JJ, it's all about efficiency (speed) and accuracy. When you have a very close target, and just trying to go as fast as you can, you'll "break" from this method and just slap the trigger. Here you're not really worried about accuracy, just speed. As your target distance increase, accuracy becomes more important. With the Freedom Smith trigger in the SFx, takeup almost doesn't exist!!! So slapping the trigger vs riding on the reset, is pretty hard for me to distinguish the difference when shooting through a stage! If you're running the stock trigger, then there would be a noticeable difference!!! There's a huge difference when shooting the Combat, as there is a lot more initial takeup. I definitely know when I'm riding the reset on that gun. It's actually a better gun to work on it with than the SFx. ...Honestly, I'm not at that level yet!!! I'm still working on stage planning, round counts/reloads, and getting "Alphas" and "Charlies" in a halfway decent time!! !